I had wanted to read The Ask: A Novel because it has been promoted as a novel about a disgruntled development officer for a university – read – fundraiser/advancement worker. It had also been described as hilariously funny – but I was either not in the right frame of mind to see this, or it was not humour which appeals to me. I thought it would be interesting given my day job is now working with development officers at a university and I wanted to see how true to life the novel might be or whether there were overlaps. Unfortunately, if you are going to read this novel looking for insights into philanthropy within the higher education sector, you will be sorely disappointed. I found it to be quite a dark and pessimistic work, and with a very cynical view of fundraising and the people who undertake this as a chosen profession. The novel is more of a story of a mid-life crisis, and while the university setting enables a catch-22 dilemma for the protagonist which adds to the plot, it could have been the story of a person with a moral dilemma in any environment. The novel did raise some ethical issues in fundraising, as in – how far should a recipient go in facilitating the wants and desires of a potential donor, and it did highlight quite effectively some of the extremes to which fundraisers might go in the solicitation of funds and the sometimes ridiculous outcomes of pandering to a donor’s needs (in this instance an observatory named after a donor “never worked properly, and was unfortunately erected too near a large lime works so that visibility is a large problem”). The only other great revelation I had while reading this was that “the ask” is not only the act of making a proposal to the potential donor, but what potential donors are sometimes referred to – that was a new one for me. So I thought I would give you the heads up on this one – if you are after a novel of a disintegrating marriage, a despondent worklife and a very sad middle aged lost man, this might be a good read for you – but philanthropy fiction it aint. If anyone does read it I would of course love to hear an alternative perspective. This entry was posted in fundraising, higher education, philanthropy and tagged advancement, development, ethics, fiction philanthropy, solicitation, transparency. Bookmark the permalink. 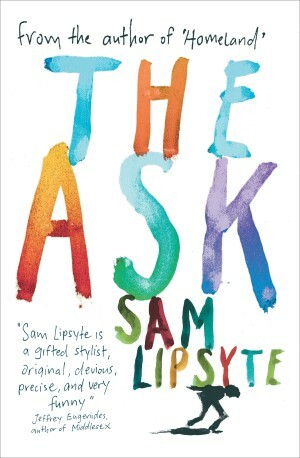 1 Response to The Ask by Sam Lipsyte – fiction philanthropy?